Erato, one of the first companies to make and sell fully wireless earbuds, has a new product available called the Verse that’s more affordable than its flagship Apollo 7 buds, but with great sound quality, a lighter form factor, and innovative graphene drivers that provide quality audio with fewer compromises. The small, bullet-shaped earbuds are a good alternative for would-be AirPod customers who either don’t have the right ear shape, or are looking for better sound isolation as compared to Apple’s fully wireless buds. 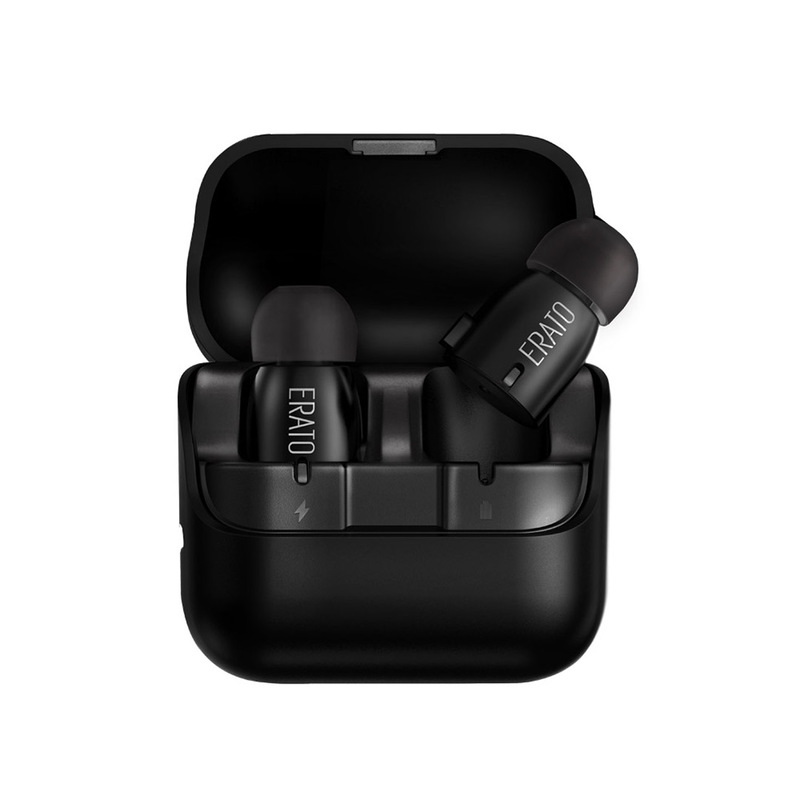 The Verse buds do have one significant flaw compared to other wireless buds – they have an advertised battery life of just three hours of music playback, which is at least an hour less than most of the other options out there. They do come with a battery-packing case that can recharge them on the go, however, and ultimately Erato says that they’ll provide up to 15 hours of playback between case and earbuds on a full charge (though you’ll have to recharge the buds by stowing them every three hours or so). The case itself is actually very reminiscent of Apple’s AirPods case – it’s a matte black, and a bit bigger, but it has a similar pivoting top, and even makes a sound that’s an awful lot like the AirPods case click when closed. A label on the stainless steel hinge for the case’s top also reads “Designed by Erato in California, Assembled in China” in case you had any doubts about where they were getting their inspiration. As for the buds themselves, they’re shaped just like the Apollo 7s, which is to say they look like bullets with rubber tips on the end, and with a small button at the wide end of each bud. The earbuds also have a matte black (or white, depending on which model you buy) finish, which makes the plastic feel higher quality. Also, they’re incredibly light – so light they feel like props rather than actual functioning electronic devices. Despite their lightness, they sound good – and substantial. They have more bass than their Apple equivalents, and in general you’ll enjoy a more full sound, made better because the “spin-fit” silicon tips that Erato includes with the buds are much more likely to provide a stable fit in your ears. The other improvement Erato has made here is in the case – it’s far better than the one that shipped with the Apollo 7, providing a much more reliable connection with the buds themselves for charging. Its rounded edges and snap shut lid also make it a pretty fantastic fidget object, if you’re into that sort of thing. Erato’s offering is a strong one in the $150 price range, where it earns the honor of being the best-sounding option currently out there. If battery life was a bit better, they’d be a no brainer, but as it is, you might want to consider other options if that’s your most important buying criteria.